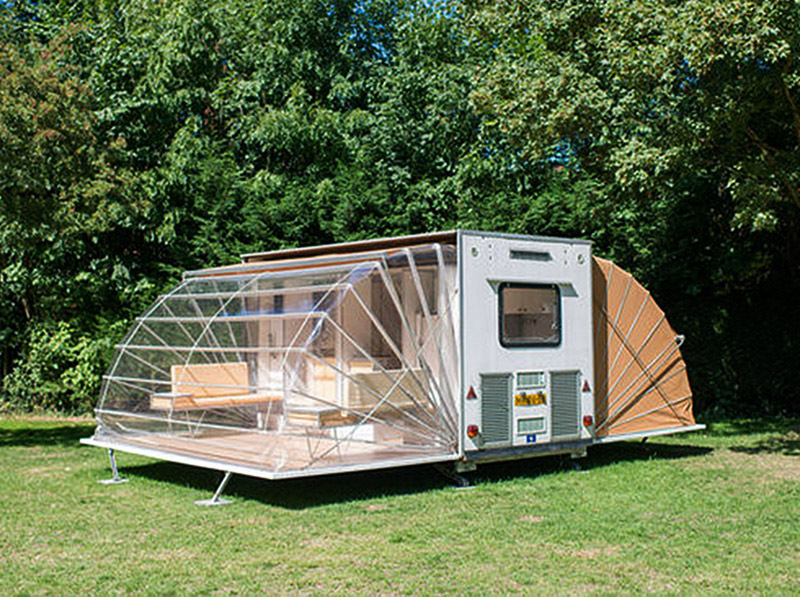 Annette van Driel and Francis Nijenhuis are the initiators of The Urban Campsite, a campsite where camping and art come together for six weeks a year. 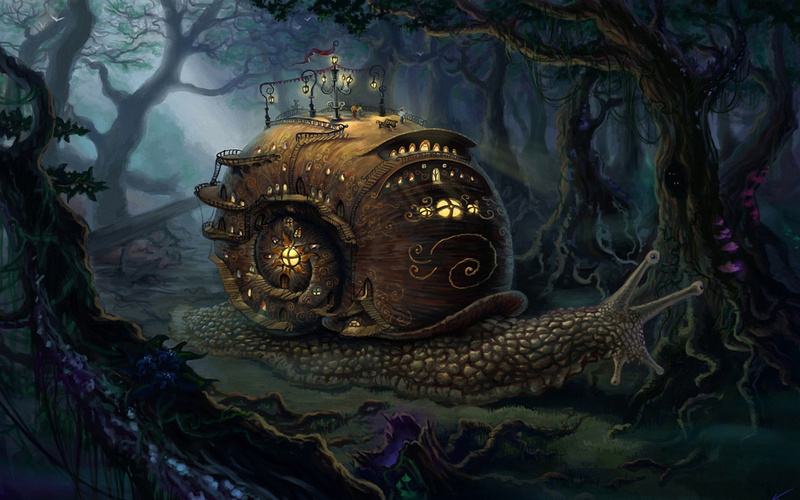 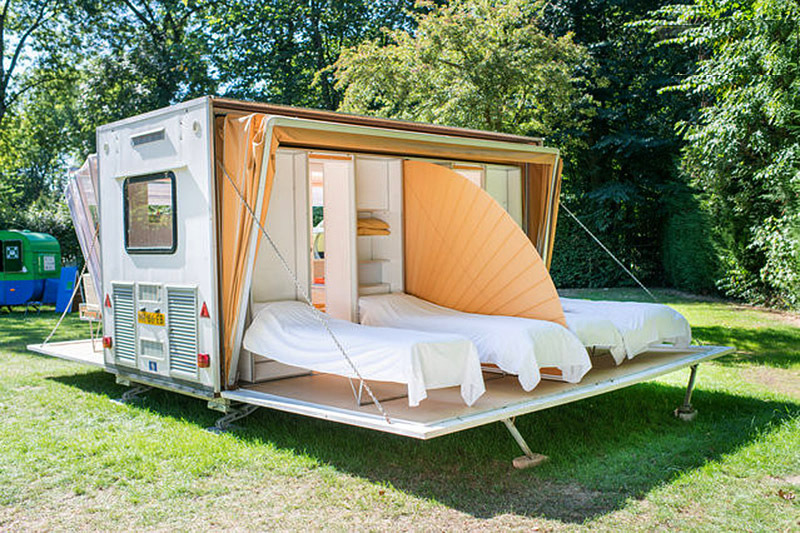 From August 16 to September 30, 2013 Urban Campsite (located on the Vliegenbos campsite in Amsterdam) has one of a kind, artistic, unusual and sometimes just crazy mobile facilities in which you can stay overnight. 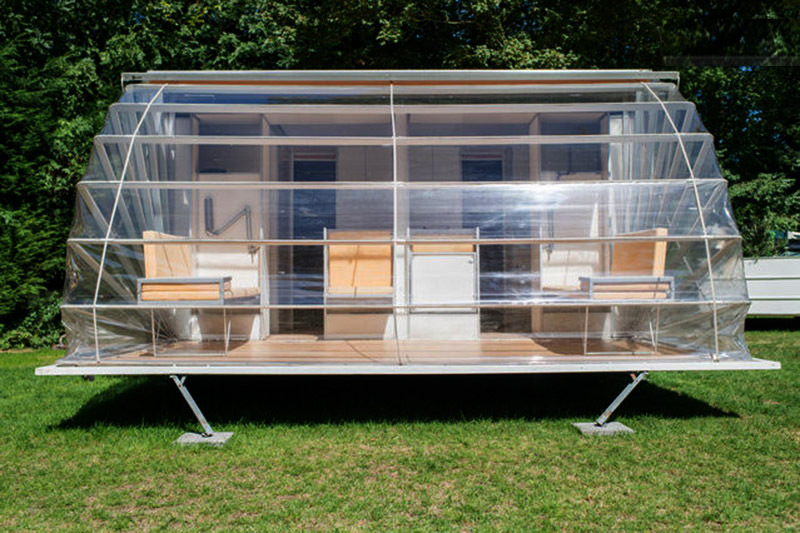 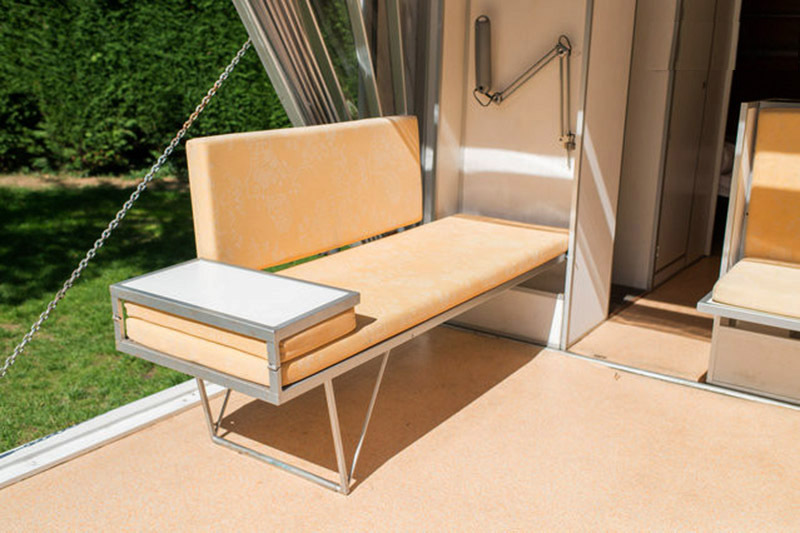 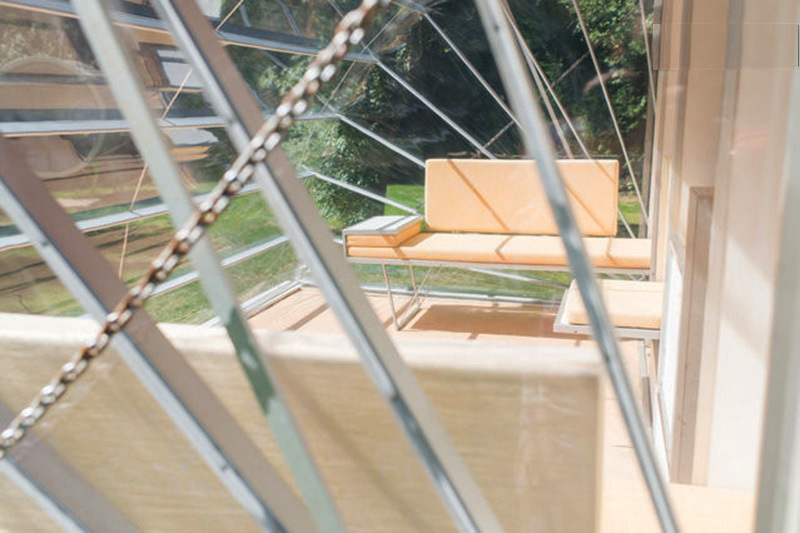 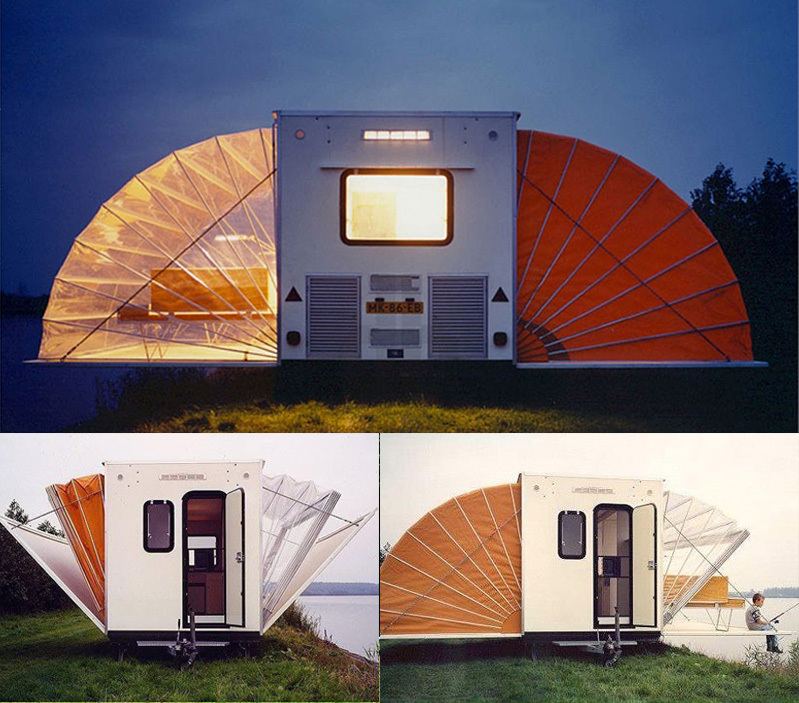 Several of the mobile structures there have received architectural awards and honors, one of which is the expandable mobile camper designed by Eduard Bohtlingk. 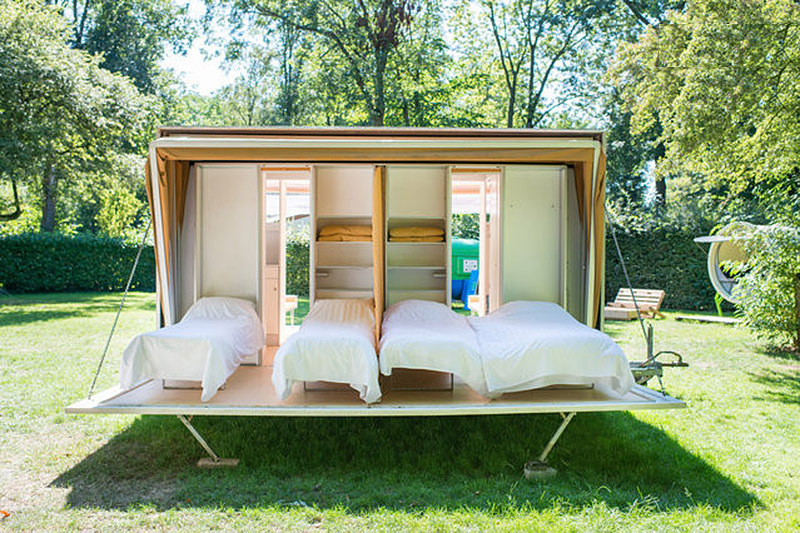 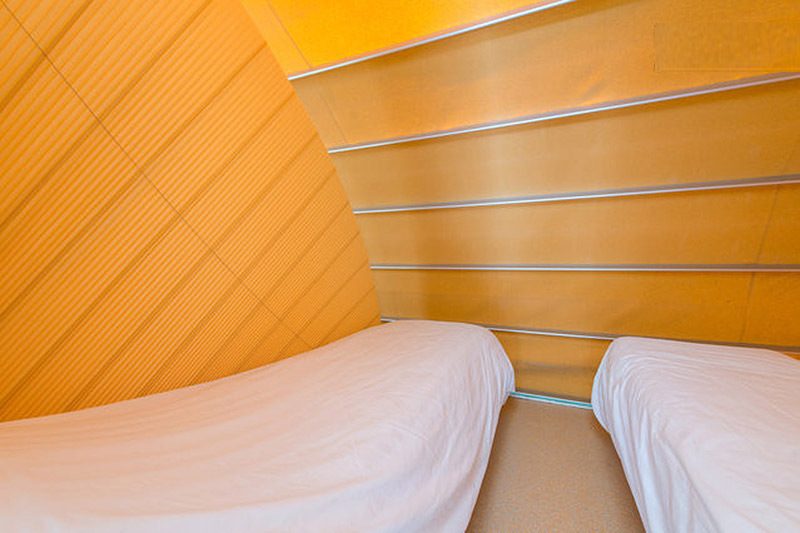 Initially designed by Eduard Bohtlingk way back in 1985, the Markies (or 'Marquis' in English) is now one of the available camping structures at Amsterdam's fun and unusual Urban Campsite. 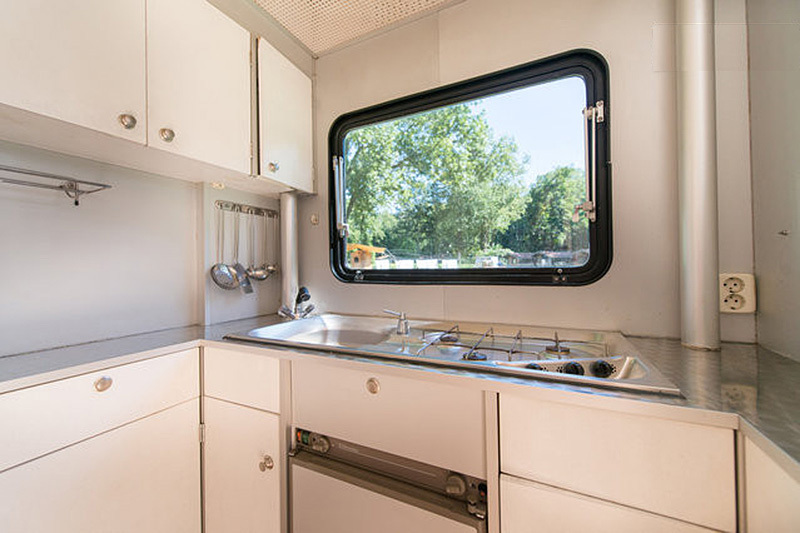 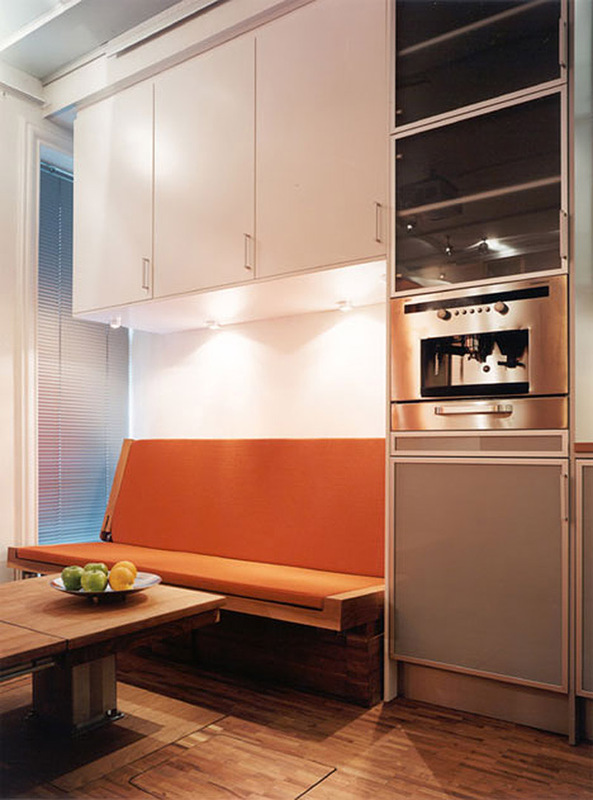 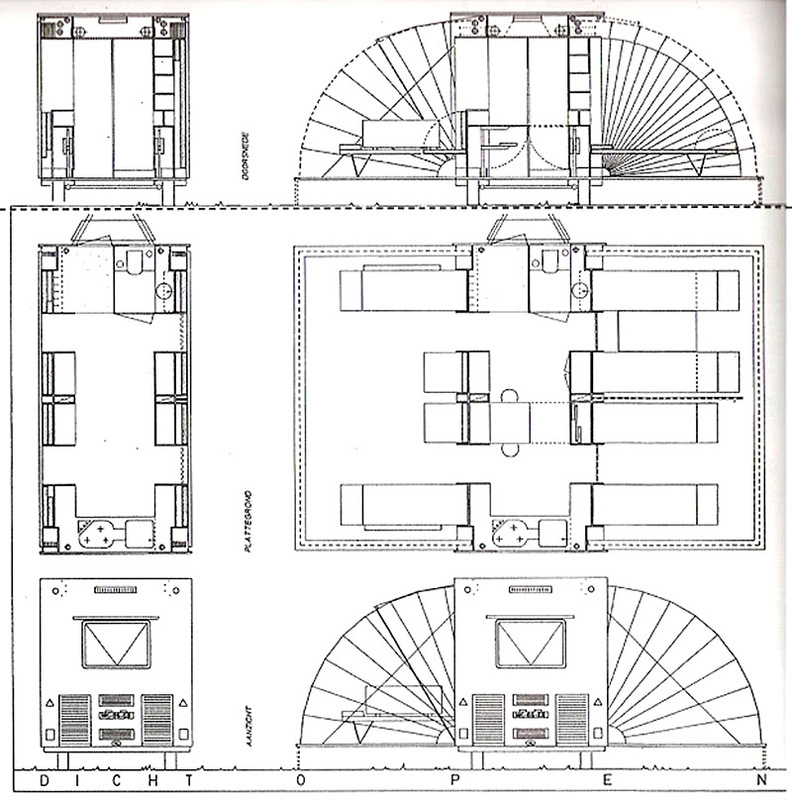 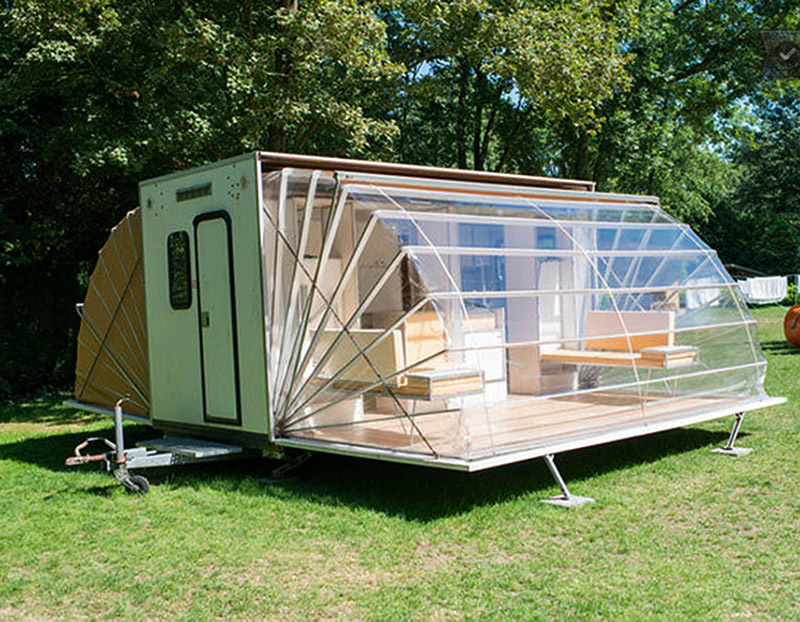 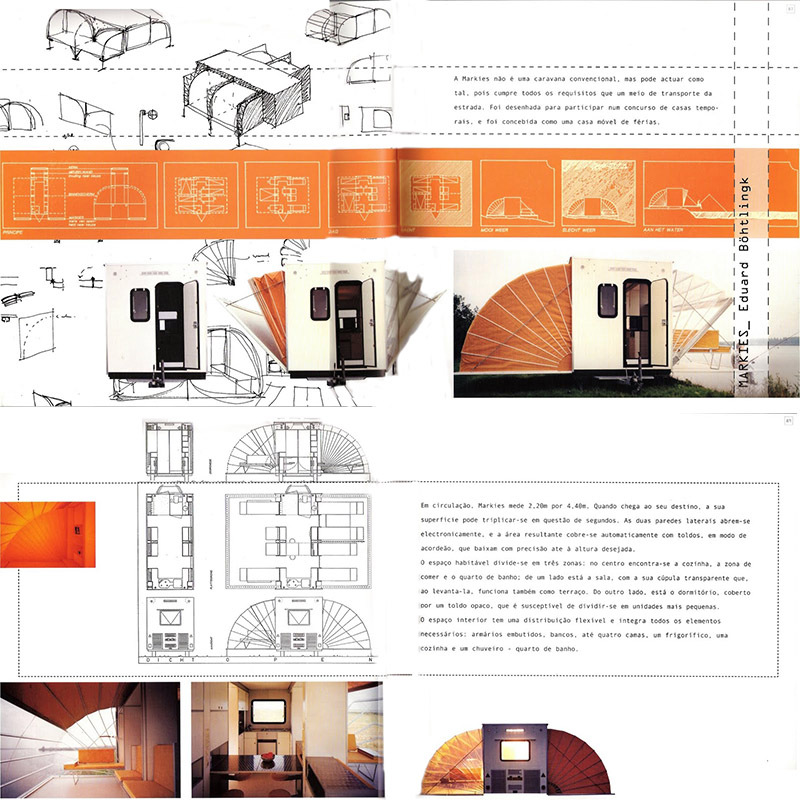 With foldable walls and floors, the camper/cottage is as mobile as a caravan. 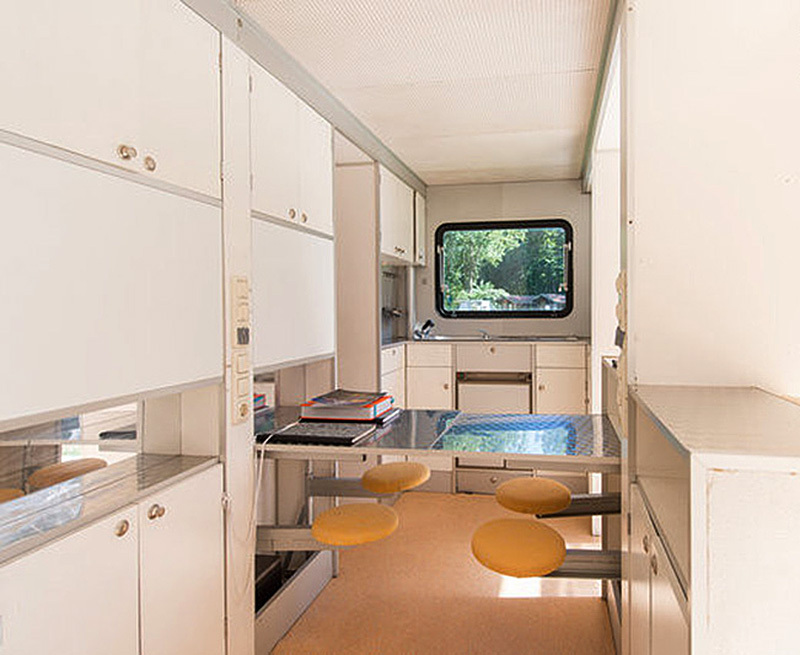 When parked at its destination, the floor space can be tripled.